As a young kid keen on flying, the aviation industry had always been something that interested me. In my teen years, and on into my early adulthood, my interest peaked to an all-time high and my stint with the Air Cadet Corps saw me spend time taking lessons and adding hours towards my training for a pilot’s license. With 21 hours of single engine aircraft flight, including seven solo hours under my belt, I still had a long way to go and unfortunately with other commitments and the astronomical costs of flying lessons, I, like many others, lost track of my early hobby. Nowadays my addiction to all things gaming sees my closest ventures to the skies coming from whatever flight based game arrives on console. You can only imagine how keen I was to get hands on with Iron Wings, the latest arcade-style, World War II era air combat game to arrive on Xbox One. But can this arcade title bring the excitement of the skies and the reality of an historical era to its players? The story of Iron Wings tells the tale of two pilots, Jack and Amelia – childhood friends who have joined the war as part of a separate special air force squadron, and how they attempt to take down the Nazi aerial forces of World War II. Whilst many games have covered different periods of the World War era, Iron Wings does something exceptionally ambitious by trying to bring us an insight into two of the most important factions within World War II – The Tuskegee Airman; also known as the Red Tails due to their rather unique paint scheme on their planes and the faction of Jack, our male protagonist, and the WASPs (Women’s Army Service Pilots), Amelia’s faction. For those that haven’t heard of our protagonist’s real-life counterparts, the Tuskegee Airman were a group of African-Americans that fought exceptionally well against the Nazi forces in the skies over Europe during World War II. The WASPs on the other hand were a brave group of female pilots which, although unable to fight in combat, did indeed make countless contributions via important deliveries of cargo transport and ferry flights, a lot of which helped to free male pilots for combat throughout the war. From the outset, the story sounds rather unique, and was one that I was fully ready to get behind. But after just a few missions, and a truly awful tutorial, it’s easy to see that the execution behind Iron Wings isn’t even half as exciting as its initial ambition. Before I get on to the negatives though, let me first tell you about the positives, as Iron Wings isn’t a completely poor experience. First of all, praise must go out to the guys over at Naps Team for the impressive visuals on each of the planes within the game. Although there isn’t much in the way of choice of aircraft, the few included such as the P51, C.202 and the iconic Spitfire in particular all look exceptional. It’s also worth noting that being an arcade flight game, Iron Wings isn’t there to bring you that ultra-realistic simulation experience, nevertheless there are some rather skilled air-maneuvers that can be achieved with a simple button press. This makes some rather stylish acrobatics possible for the most casual of gamer, and is a nice touch for those who lack the skills or patience to put up with a true simulation experience. Unfortunately though, whilst these are things certainly worth their praise, it’s every other category that lets Iron Wings down. Especially the gameplay. From the early tutorial level that sees you firing countless bullets at an innocent flock of crows for shooting practice, it becomes quite obvious that your protagonists have no morals going into this war. Something which is only made more apparent by the casual response they give every time they gun down an enemy, firing out repetitive one liners such as ‘another cross on my plane’ and ‘I’m an ace’. Whilst this would usually only be a minor irritation in most games, the fact that pretty much the entire experience is focused heavily on shooting the various enemies in each level, makes things extra annoying. Going into a mission and chasing down five enemies can see the repetition become a bugbear, and with every mission producing the same thing, it can all quickly grow tiresome. This isn’t helped by the fact that players can swap between both Jack and Amelia at will, no matter the mission, meaning that despite the fact that members of the WASP squadron were used to take part in transportation missions and not for major combat, there seems to be very little in the way of recognizing that. Instead, Amelia is found taking on a role of a seemingly carefree mercenary who’s ready to step in should you have taken some damage with Jack, find yourself in need of some heavy bombing runs, or have use of her camera, something which Amelia’s plane is already equipped to do. To get to these annoyances, you first have to make it past each mission of course, and there are two types within Iron Wings; main missions and side missions. Neither are really very different from the other except for the way in which you receive them, and the fact that side missions give money that can be used to upgrade your planes. 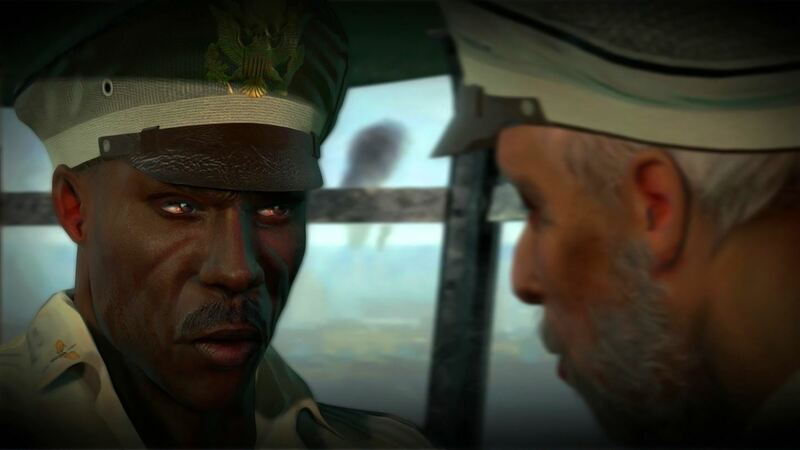 It is these side missions that also bring a questionable point to the game, with them taken by intercepting a radio signal, something which reaffirmed my thoughts of the protagonists acting as mercenaries rather than air force squadrons. Main story missions on the other hand are taken by flying to the next green waypoint between missions. That in itself is nothing overly exciting, but at least we are treated to a cutscene – one of the few decent features within the game. Another gameplay disappointment comes from the combat. Whilst Iron Wings isn’t exactly the most challenging of games, the way in which players are forced to lock onto enemies is unusual and fails to bring any real excitement to the shooting in the game, despite it being your number one goal throughout. 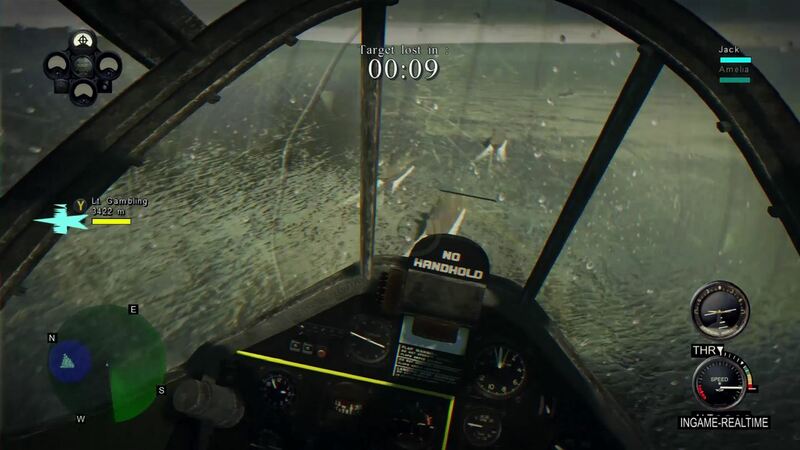 To destroy each target, players must be flying and firing in the rough direction of the enemy whilst being locked on to that specific target with a press of the Y button. However this random fire is pretty pointless as you must first wait for an aiming circle to fill which will then allow you to actually cause the damage needed to destroy the enemy. Doing this can take a while though and if you catch yourself doing anything over the minimum speed, then you’re likely to overshoot things and have to circle back around until you find the right distance at which to come at your enemy. That is a difficult task when some missions come with an unannounced time limit that kicks in should have taken too long to complete the task in question, despite you never being told how many of a certain enemy you need to destroy in the first place. Something which makes this worse is just how boring the whole shooting side of things is. As the main activity in Iron Wings, it would be nice to at least have more freedom over how you get to take down each enemy, something that would be much more varied without the need to lock on. Instead, each mission brings what feels like rehashed versions of the last, just in a slightly different location. This unfortunately brings me onto my next issue – the playable area limitations. 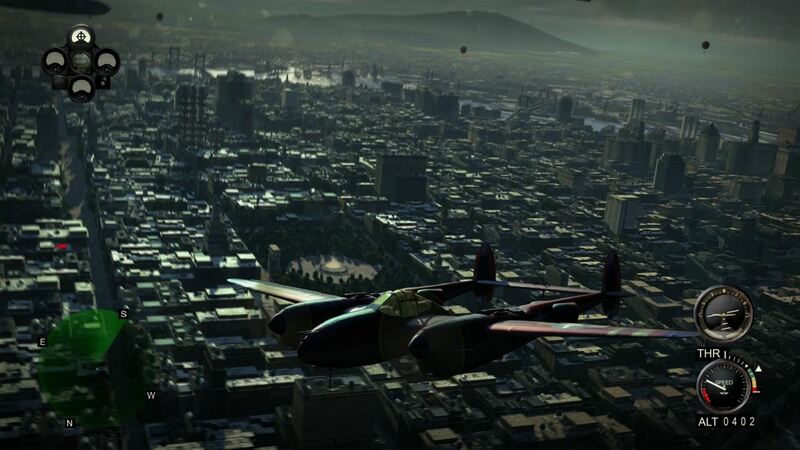 With games like Ace Combat and Tom Clancy’s H.A.W.X giving us plenty of freedom during flight, it comes as a shock to find just how limited the airspace is in Iron Wings – especially given the fact it’s an Xbox One game. If it’s not bad enough that the surrounding scenery in each level already comes across as dull in design, those hoping to produce a close-knit fly-by of the mission area will find themselves being forcefully turned the other way should they get too close to the floor or when flying too far in each direction. This isn’t from the game warning you either, but rather by taking control and sending you off in the other direction. It’s not as if the playable area is that large either, so to see the limitations in place is certainly disappointing. Should you do a forced head first drop or stall your aircraft by going too slow however, you can at least find your plane then plummeting into the floor, but even then, the explosion it causes seems to cover an incredibly expanded area, before providing you with an explosion screen straight out of the original Xbox era. And that feels incredibly cheap for an Xbox One game in 2017. Should you find that the issues take away too much of the fun for the campaign, then it’s fair to say you’ll only be further disappointed by the other modes on offer. Arcade and Free Flight are available for those who have either mopped up all the missions – or just can’t bear to finish them – but if you were hoping for these to make up for the rather dull campaign experience then you’d be disappointed. 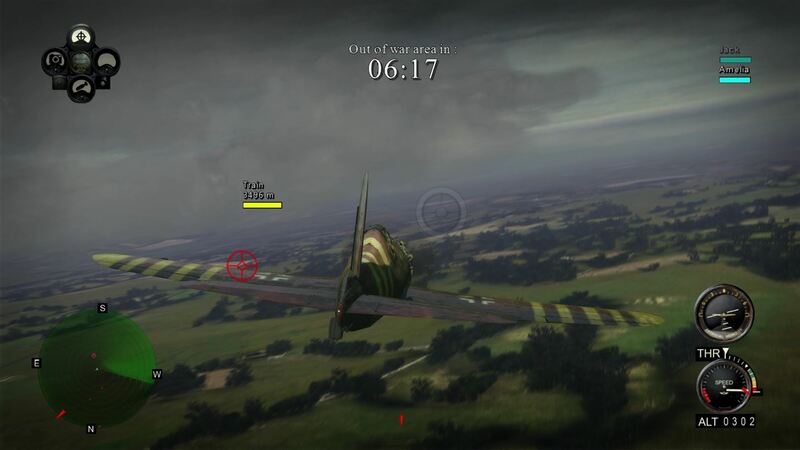 You see, Arcade brings nothing more than a repeat of the campaign missions whilst adding a score counter and fuel gauge, whilst Free Flight is simply nothing more than aimless flying around the limited playing area. That would become dull quickly in a real plane let alone in one with limited abilities and travel limitations. I truly hoped to enjoy my time with Iron Wings, but poor gameplay mechanics, and a contradiction to the overall purpose of the protagonists left me feeling more disappointed than anything else. 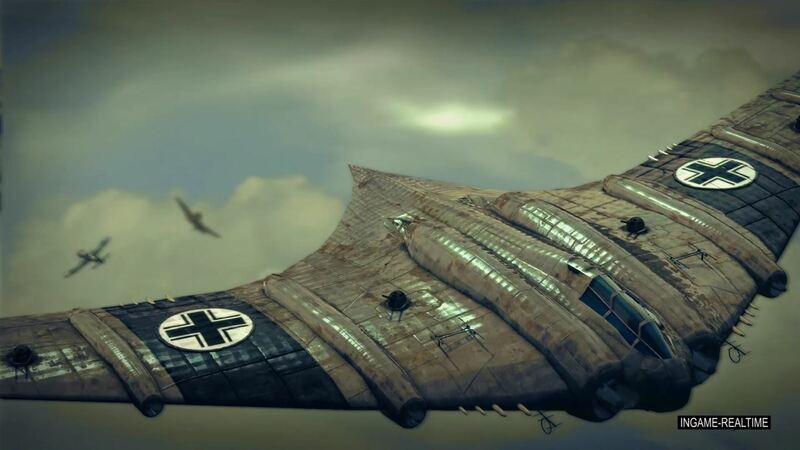 Credit is due for the unique and daring storyline, however the way in which it, and the gameplay, come across gives nothing to allow Iron Wings to be remembered in a positive way. Next articleDestiny 2 – It’s all about the endgame!